Our trip to Sevilla got off to a rainy start. After checking into our hotel after an unsuccessful attempt to visit the dentist (another story altogether! ), night had already fallen. Another thing falling? The rain, of course. 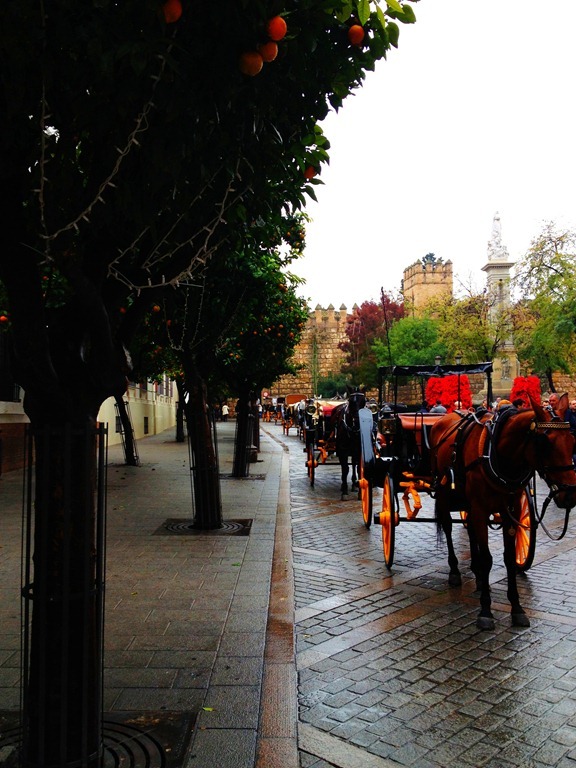 Luckily, Sevilla is still pretty, even amidst the drizzle. The Christmas lights were lit, and it was hard to feel discontent with the whole city wishing us Felices Fiestas (Happy Holidays). 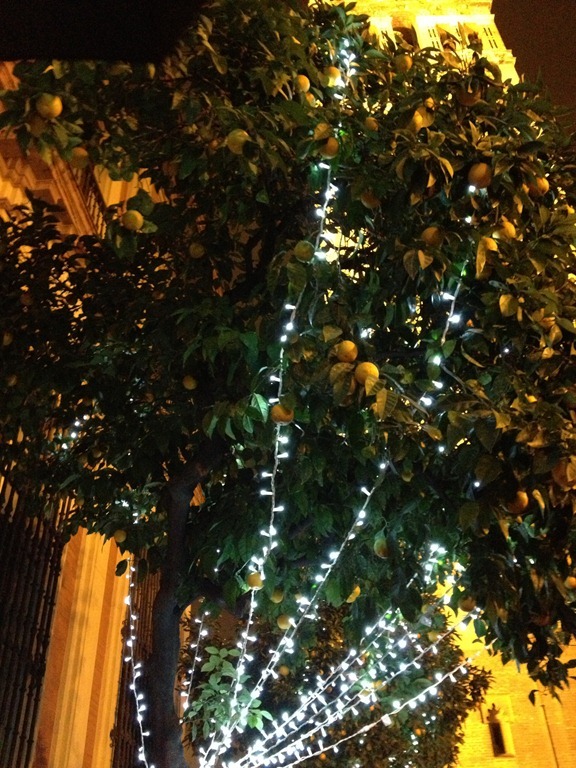 One of my favorite parts was seeing the juxtaposition of an orange tree with Christmas lights. Thus is Sevilla. Our friend from a town near Sevilla had recommended La Carbonería to us. La Carbonería, according to Tertulia Andaluza, was “the meeting point for the vanguard of Seville, a space for independent and alternative thought.” In the past, the site was a coal warehouse, thus the name, which in English would be “The Coalyard.” In 1975, Paco Lira converted it into the place it is today, a venue to hear and see flamenco, for ideas, for art of all kinds. We saw a flamenco show and ate food off paper towels. It was an intriguing show. What’s more, it was packed. Good thing we got there early. I found the female dancer especially intriguing. There was something there in her face, impossible to articulate but powerful nonetheless. 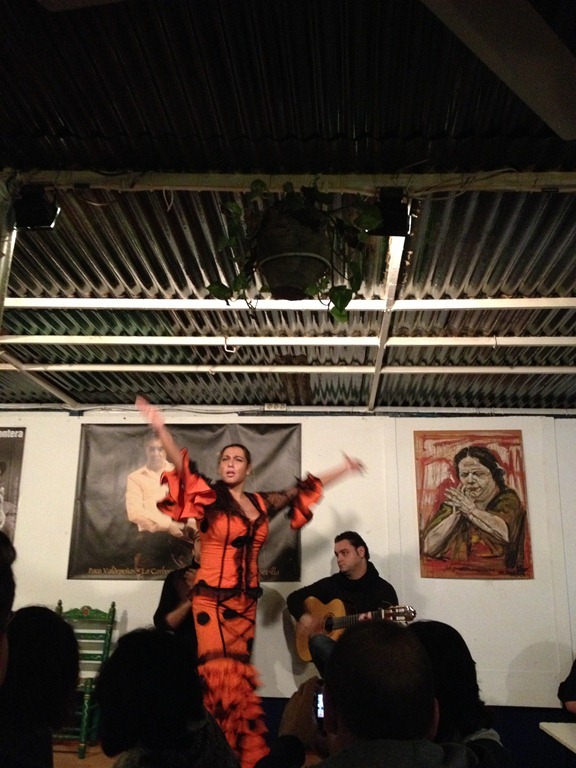 She may not have been famous, but her whole self radiated the spirit of flamenco. The next day we got up, and after a quick visit to the dentist who confused me with his sevillano pronunciation, we had some breakfast. 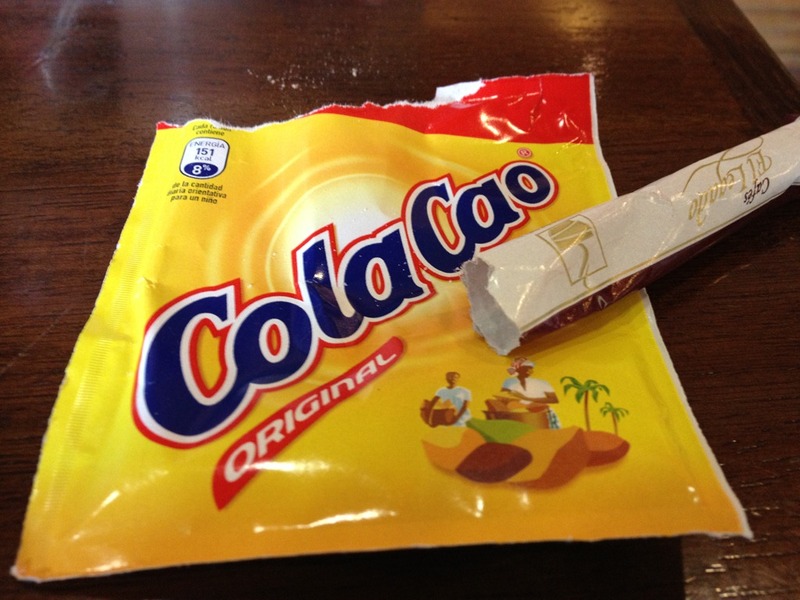 Mario took his Cola Cao with extra sugar. I had a tostada con jamón along with a café con leche. Mario chose to go with a recommendation from our waitress, the pringá. Pringá comes from the verb pringar, meaning to dip or to dunk in this case, is made up of the ingredients from the traditional Spanish cocido, known as puchero in many places. 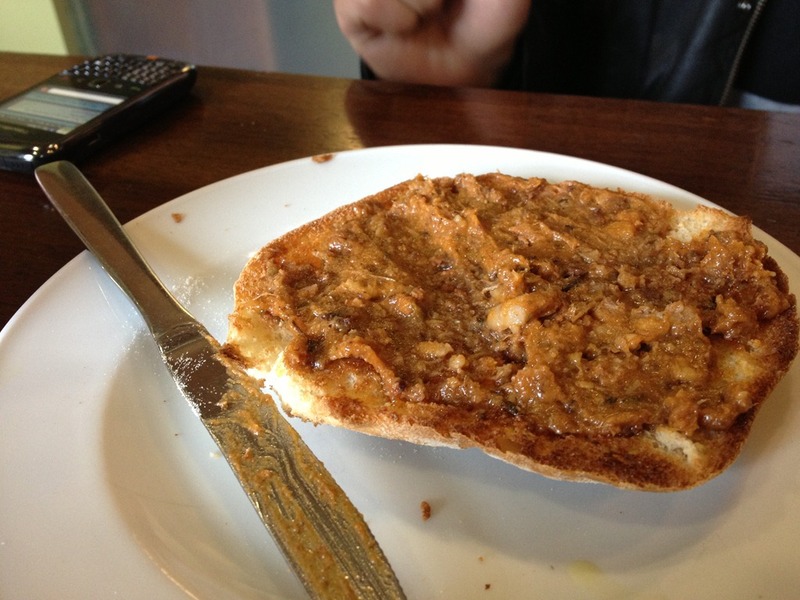 The meat portion, which consists of things like morcilla (blood sausage), chorizo, and tocino (fat), is cooked along with the rest of the stew, and then made into a spread to eat with bread. Yum! 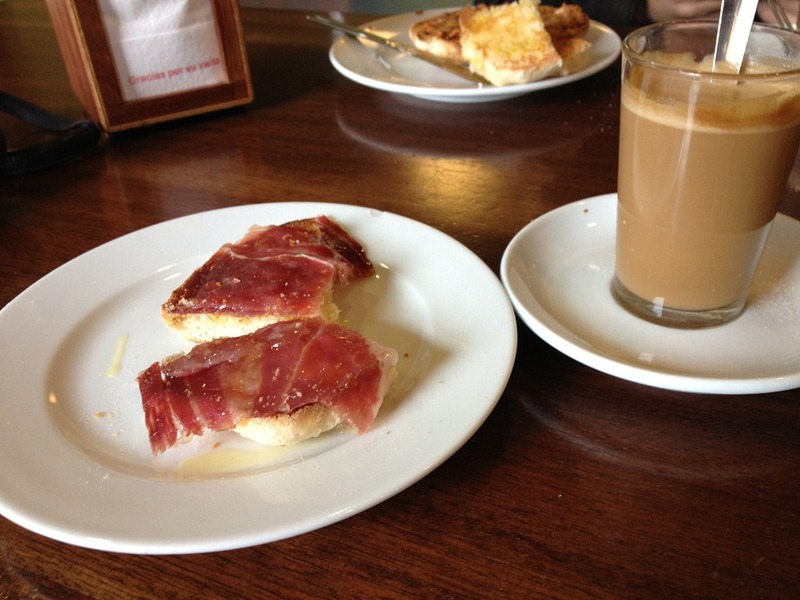 Actually, it was quite good, we both agreed, although perhaps a bit more fuerte than the typical Spanish breakfast. Next on the docket was a bit of sightseeing. 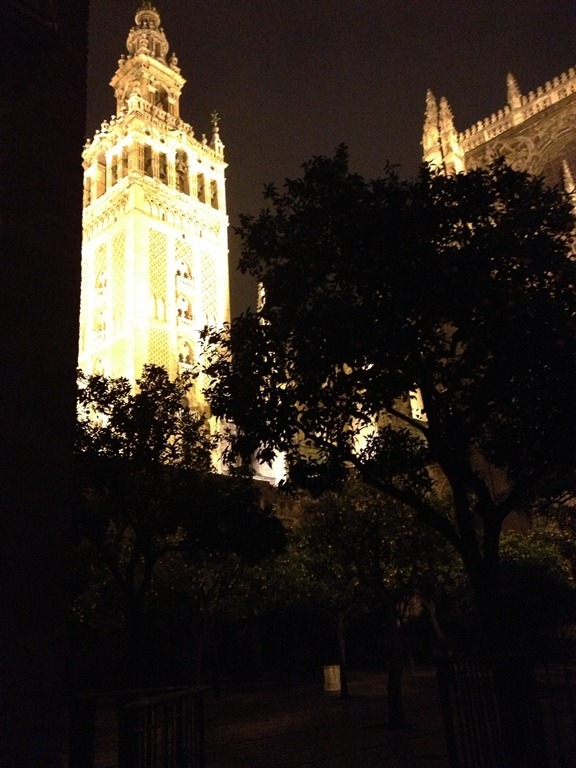 Of course, you can’t go to Sevilla without seeing the cathedral and la Giralda. 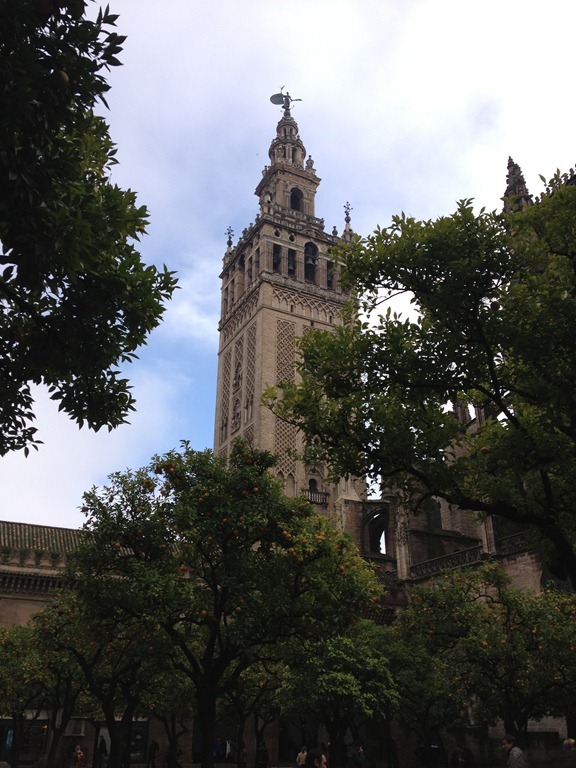 La Giralda is a former minaret that the Christians made into a bell tower for Sevilla’s cathedral. 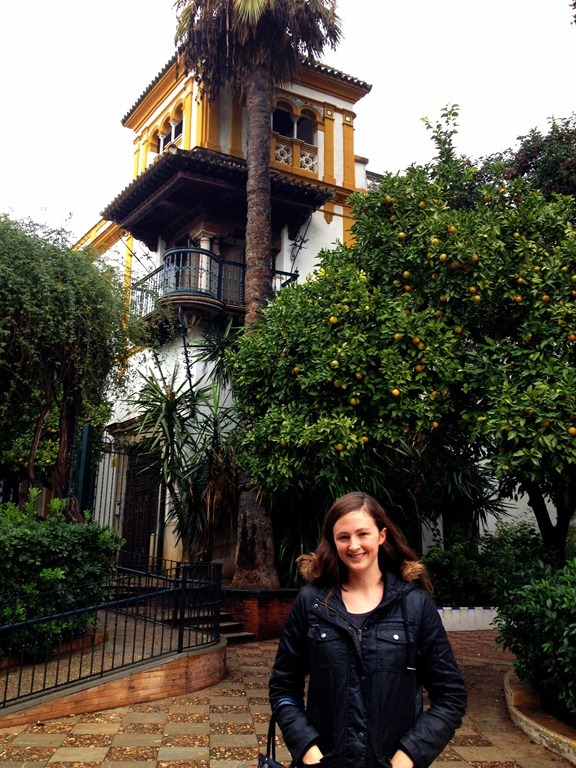 It stands high above the Patio de los Naranjos (Orange Tree Courtyard). 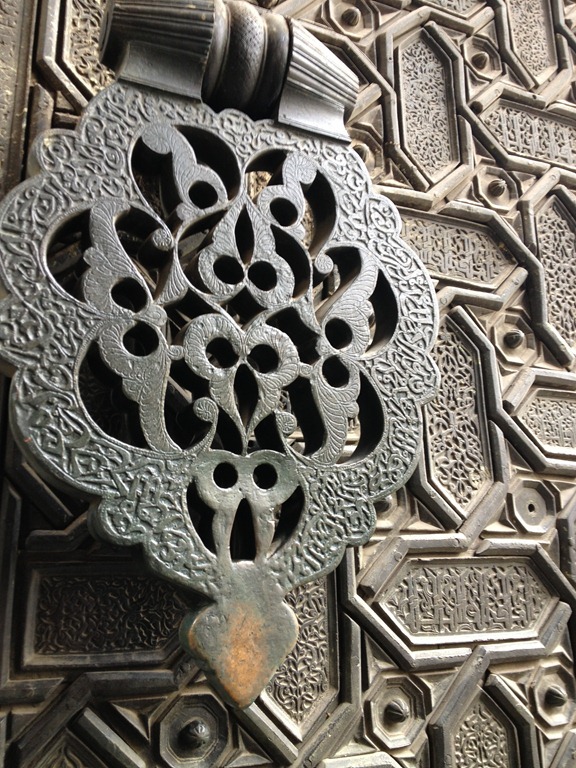 The area of the courtyard is supposedly the area the old mosque occupied, as two of the courtyard’s exterior walls belonged to. During the time of the Muslim occupation of Spain, the area served as the space for the Muslims’ activities, including cemetery and cultural events. Besides seeing the sites, we also wandered around a bit. Getting “lost” (is it possible to get lost with a smart phone nowadays?) is one of my favorite ways to see a city. 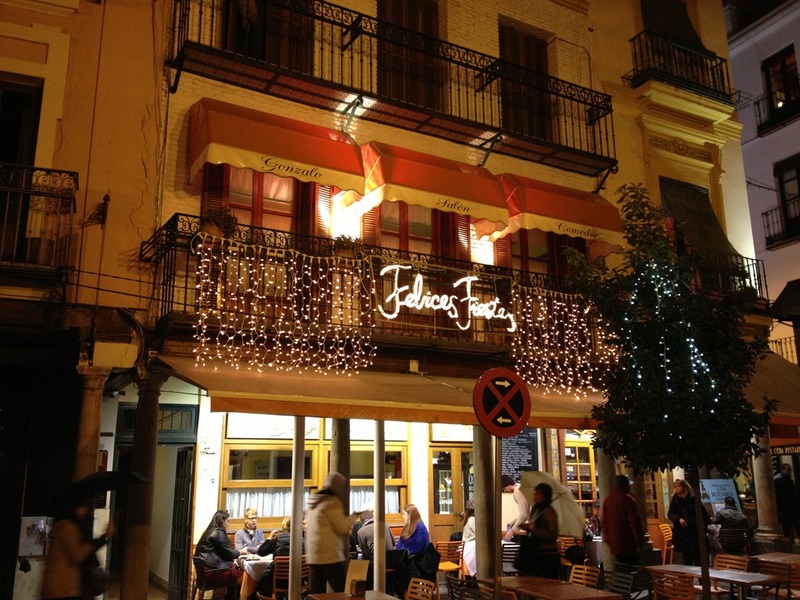 We had lunch at Bar Alfalfa, another recommendation from our Sevillana friend. A real winner! 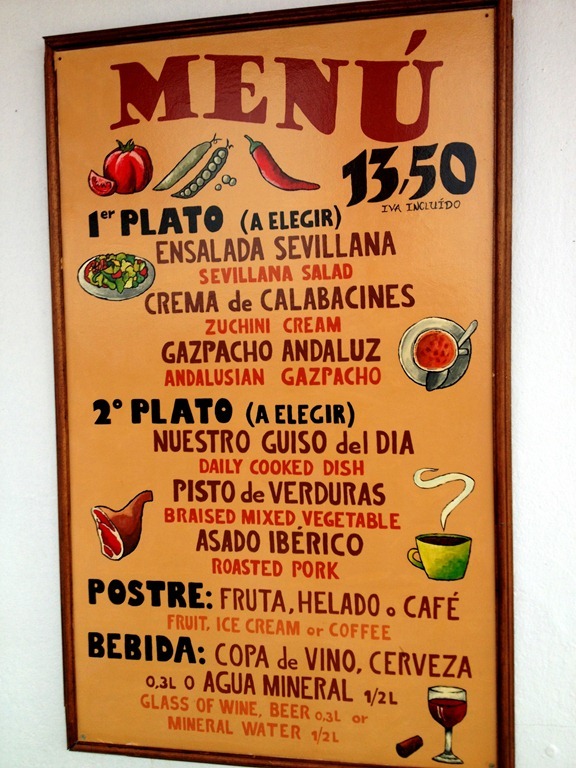 We really enjoyed the food we had, and with the prices in Sevilla, you can’t go wrong. 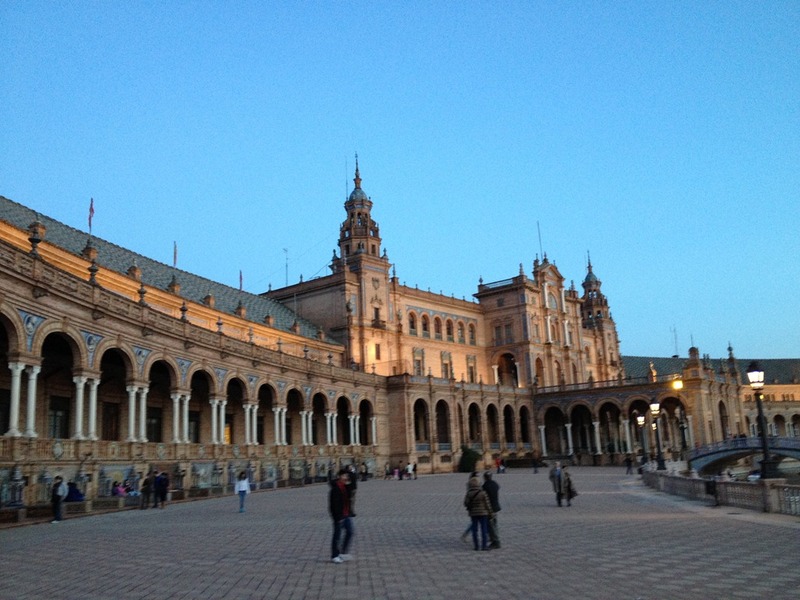 After a bit more wandering, we headed over to the Plaza de España, where it was already starting to get dark. Unlike most Spanish plazas, this one is not centuries old. It was built in 1928 for the Ibero-American Exposition (often referred to simply “la expo” by Spaniards), which was held in 1929. Along its walls there are tiled alcoves, each of which represents a Spanish province, from Álava to Zaragoza. It has also been used as a film set: in Lawrence of Arabia, Star Wars Episode I: The Phantom Menace,and Star Wars Episode II: Attack of the Clones. Our day in Sevilla ended with—you guessed it!—more tapas at a popular local bar, Los Coloniales, located in the town center. 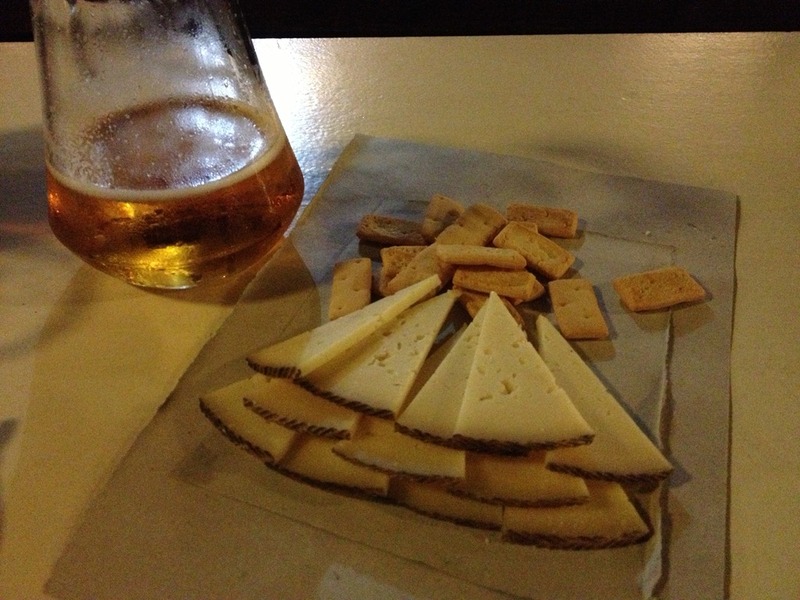 These tapas included, of course, the typical Sevillan picos, a type of small crunchy breadsticks. They usually accompany ham/chorizo/cheese, but we found them to come with almost anything! Yum! 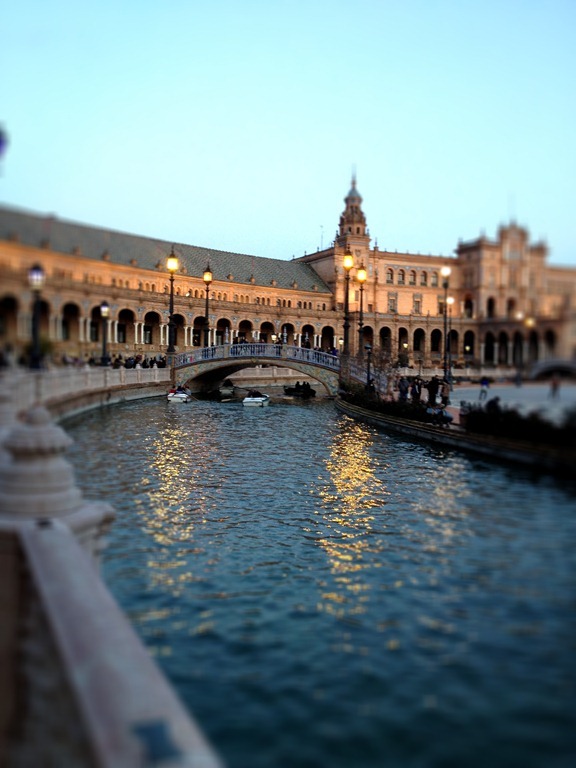 Have you ever been to Sevilla? We were just in Sevilla for the November puente and, wow, has it changed! There were no whispers of Christmas lights in the orange trees a month ago, and from your photos it looks like they added even more charm to the city. 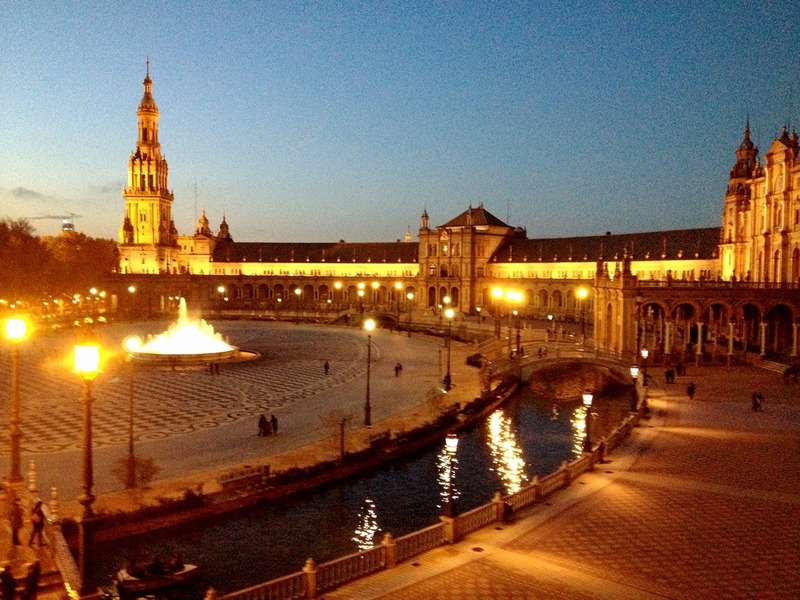 Speaking of photos, I absolutely love that first picture of Plaza de España!! Are you enjoying your Canon? I’ve been to Sevilla twice. 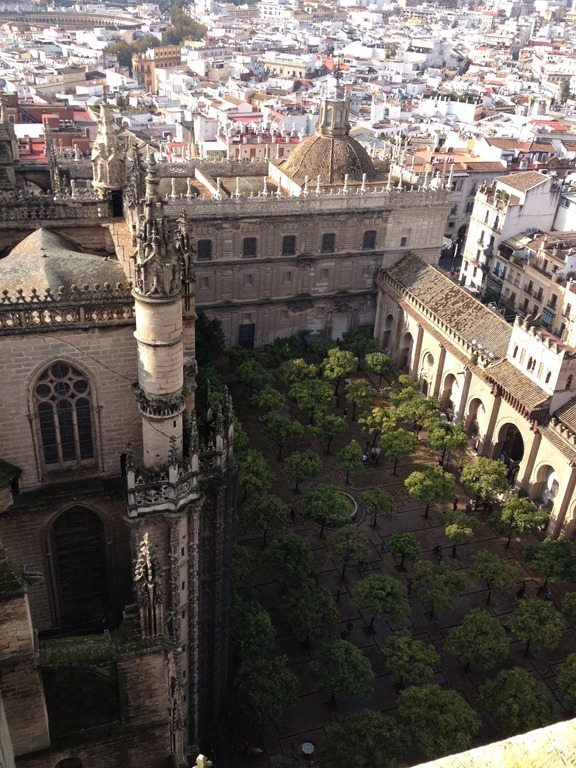 Once as a 20 year old college student and we only saw the catedral, La Giralda(of course!) and Plaza de España. I remembered the lovely tiled scenes of each province so I wanted to go there again. Half of it was being renovated so we only got to see A through M(? can’t recall where the split was) when I took my hubby and kidlet in 2010. Absolutely loved Sevilla and I too experienced the language confusion with our cab driver. I recall asking the hotel clerk if there was another language spoken there as I couldn’t really understand the cab driver. He giggled a little and said it was just his accent ;) That was only time I struggled to understand the Spanish. 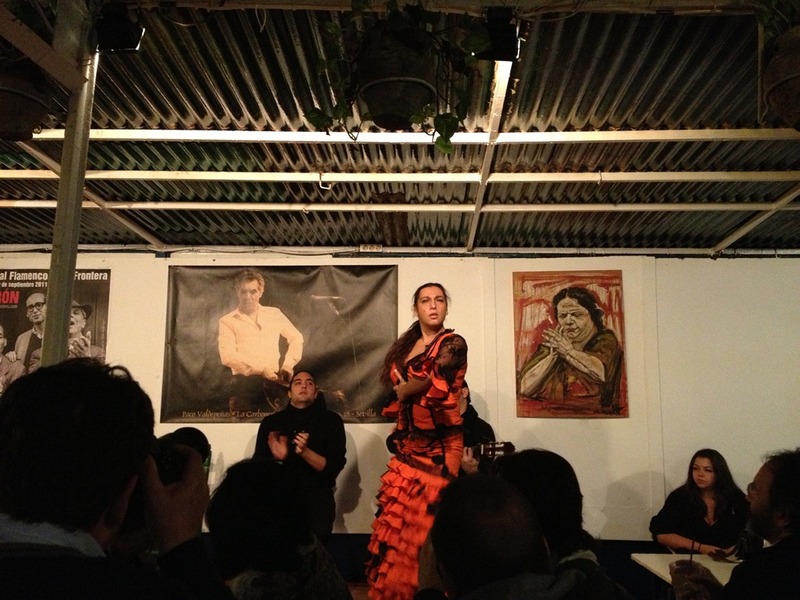 We saw a great flamenco show at Casa de la Memoria and I wanted to see one when we were in Madrid last year. The cost was outrageous for a show in Madrid and we ended up cancelling. and the cost for the show in Sevilla was very reasonable. 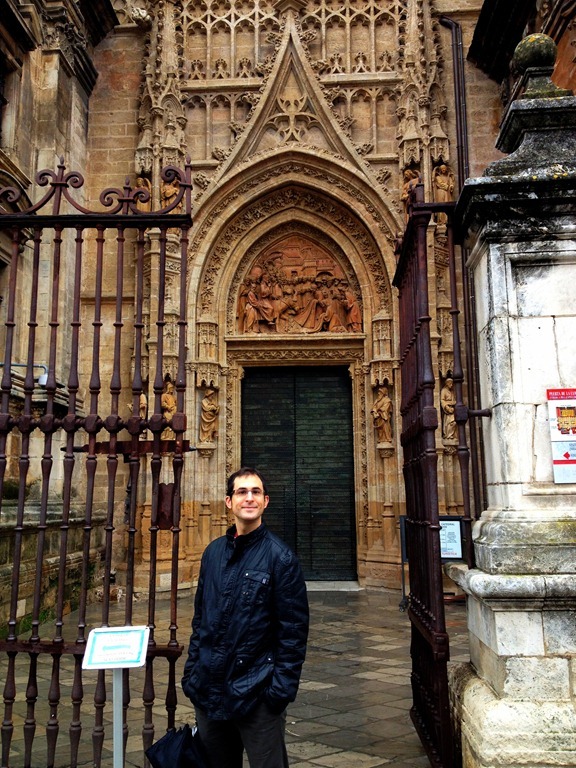 I can’t wait to visit Sevilla again! Thanks for your trip report and great photos. I think everyone knows, I adore Seville! I’m glad you enjoyed your visit– here’s to many more in the years to come! 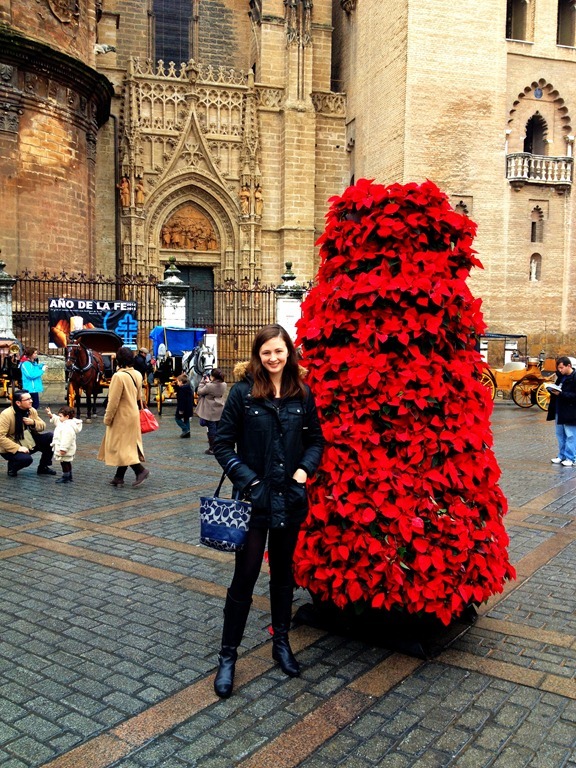 I’m headed to Sevilla next week, i can’t wait! I’ve heard from so many people that its their favorite Spanish city. Ah, Sevilla, my love. And as I’m sure you found out, “La lluvía en Sevilla es una maravilla.” I’ve been back twice since the semester I spent there and I’m heading back for a few days during Semana Santa. I can’t wait! Glad it was a nice trip for you! I love Sevilla. Went to the same Flamenco show too and was happy I arrived extra early because I didn’t realize it’s the FREE spot for Flamenco and everyone goes there until it got packed! Beautiful photos. I love going to Sevilla. I’ve mostly been there in Spring so it has typically been warm and sunny! I miss Sevilla! Sounds like you hit up many of the best places there! I could seriously go for some Sevilla-style tapas right now.